“Choosing the person you want to share your life with is one of the most important decisions any of us makes, ever. Because when it’s wrong, it turns your life to grey, and sometimes you don’t even notice until you wake up one morning and realize years have gone by... 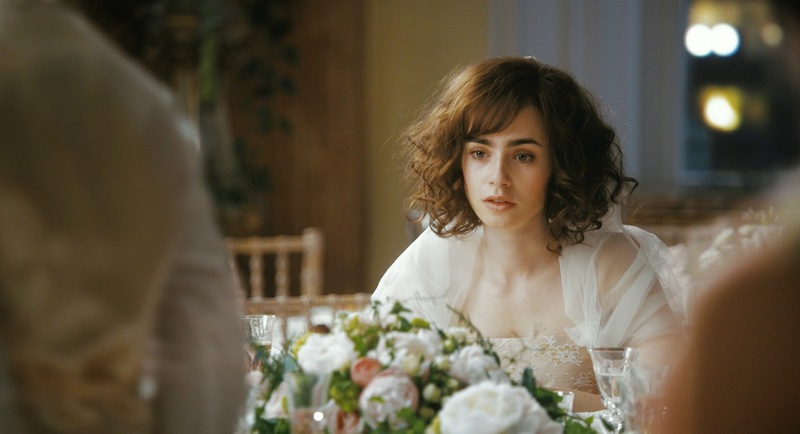 Sometimes you don’t see that the best thing that’s ever happened to you is sitting there, right under your nose...” Lily Collins’ character, Rosie says in her latest romantic comedy, “Love, Rosie” starring opposite “The Hunger Games’” Sam Claflin. Still, most crucial to the film’s overall success, would be the actor’s cast in the two leading roles – Rosie and Alex – best friends destined to be something more who’ve never managed to get their act together. Finding the perfect actors to portray them on screen would prove a simpler proposition, however, with the casting of Lily Collins and Sam Claflin – the filmmakers’ first and only choices for the roles. Amongst the bright young faces in the Love, Rosie cast are: Jaime Winstone (daughter of British actor, Ray Winstone), here playing Rosie’s friend and confidante, Ruby; London fashion model Suki Waterhouse (Pusher), marking her second feature film role as Rosie’s rival, Bethany; rising star Tamsin Egerton (The Look of Love) as Sally, and Christian Cooke ("Magic City") as Greg, a local who takes more than a casual interest in Rosie. Love winds and finds ways - “Lovie, Rosie” is now showing in theatres (opens today, January 8) from Pioneer Films.